Grocery stores are no longer just a place to shop for eggs, milk and bread. Stores now cater to clients who want specialty merchandise and prepared food. Sushi, coffee and wine bars are a common sight in grocery stores today. Shop and Sip… let’s face it these additions are a pretty awesome concept and can make the daunting task of weekly grocery shopping pleasurable. Mariano’s is a leader in grocery shopping innovation. HELLO OYSTER BAR ! (making not only your shopping experience pleasurable but perhaps your partners too, if you know what I mean) Well, Mariano’s is once again stepping up their game. The Tea Bar at Mariano’s now offers a line of 15 signature teas at the mecca 80,00 square food Bucktown location. 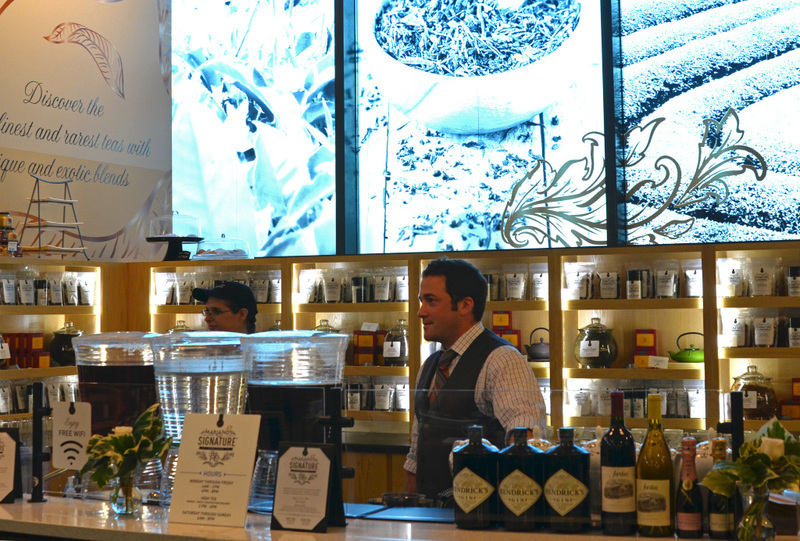 The bar serves a curated collection of loose leaf teas that you can enjoy while shopping or at home. Developed in partnership with Rodrick Markus of Chicago’s Rare Tea Cellar, the Mariano’s signature collection includes unique blends such as Wild French Lavender White Tea Blend, Sicilian Blood Orange Green Tea Blend, and Bergamot Fruit Earl Grey Black Tea Blend. 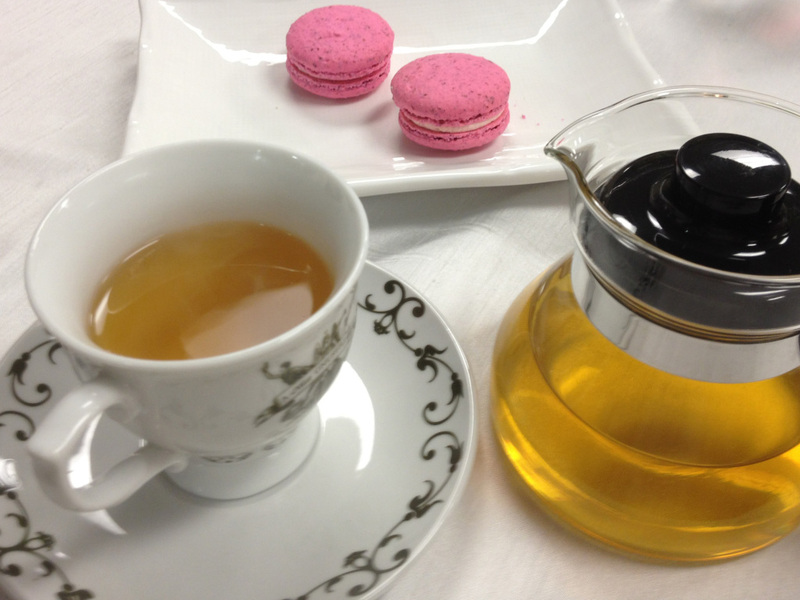 In addition to grab and go service, traditional Afternoon High Tea service is available, including lovely tea sandwiches and cookies. 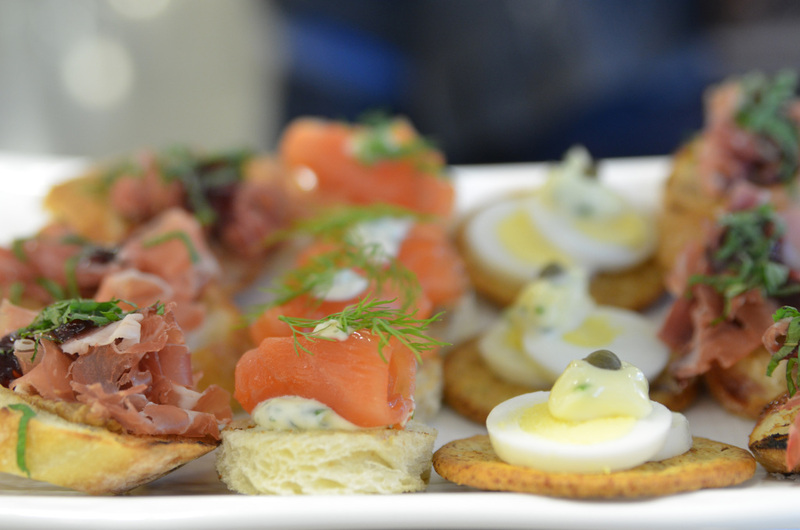 High Tea will be offered Monday thru Friday by reservation only from 2 to 4 p.m. There are 27 Mariano’s Fresh Markets across Chicagoland. Mariano’s Fresh Market – Bucktown is located at 2112 N Ashland Ave, Chicago, IL 60614. Disclosure: I was invited to attend at purview party for the Mariano’s Signature Tea Bar in Bucktown on behalf of Chicago Food Bloggers. All Opinions are my own. Do you sell Barry’s Irish Tea @ Marianos? According to the website, they don’t. But you might want to con act your local Mariano’s to verify.